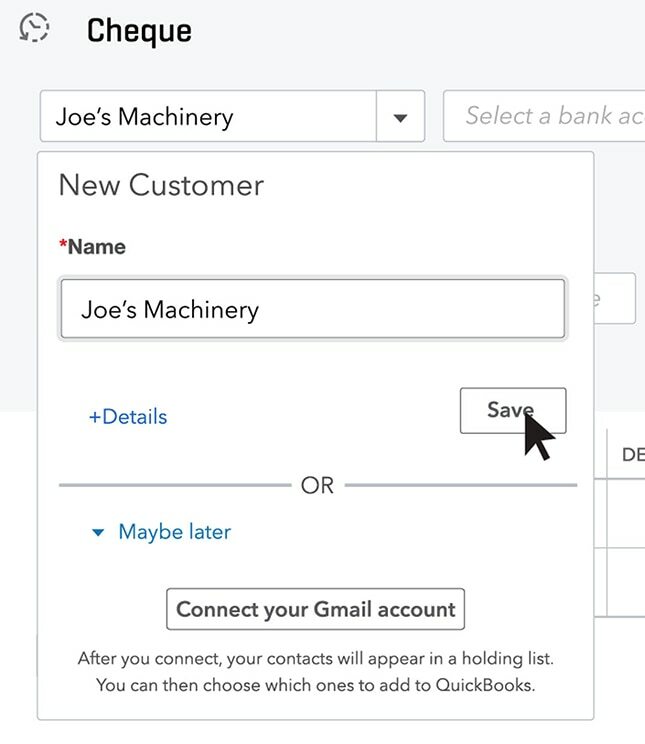 Did you know you can print cheques straight from QuickBooks? 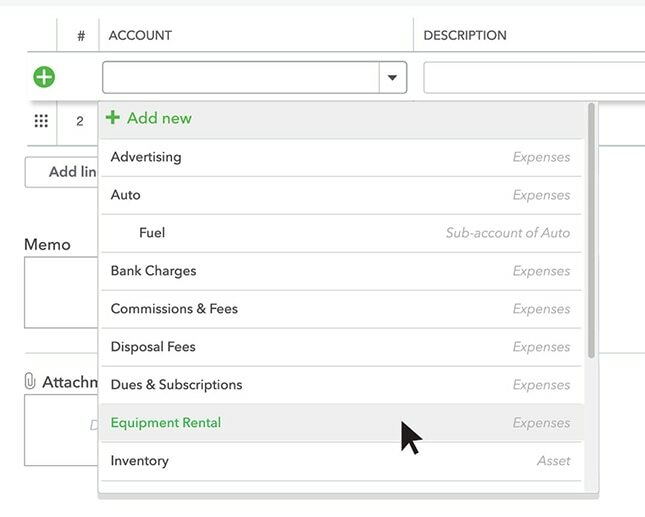 In this video you'll learn how to set up your cheques in QuickBooks so you can print them and take care of your expenses. 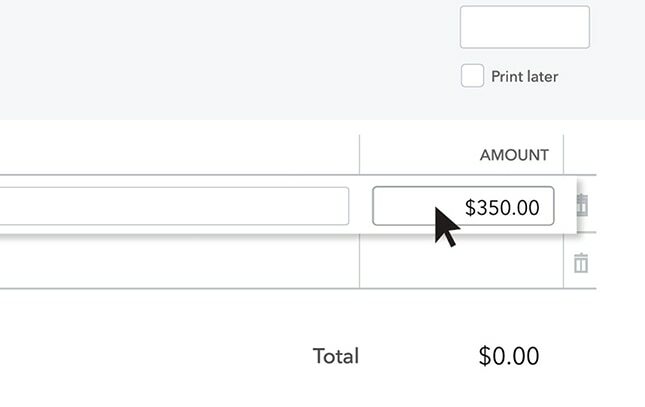 Click on the Plus Sign Menu and under Suppliers, choose Print Cheques. 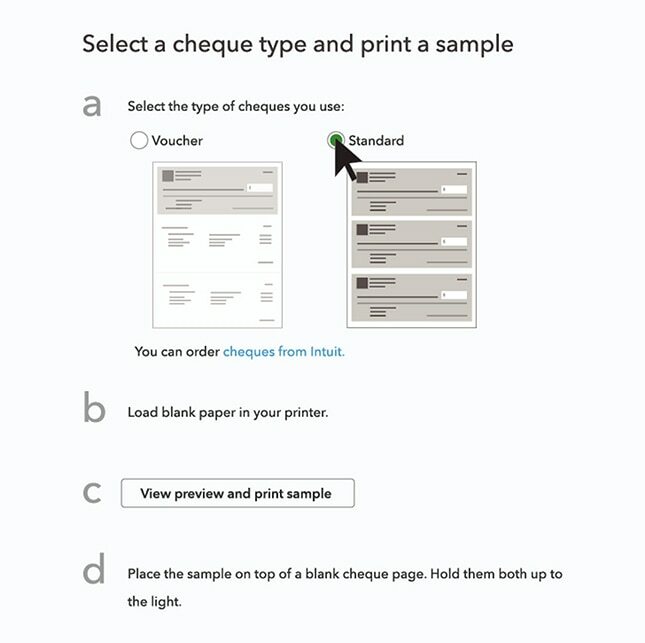 In the Print cheques page, select either Standard or Voucher style for the type of cheques you want to print. Next, load some blank paper into your printer for a test run. Then click View preview and print sample. You’ll see a new screen that shows you a sample page of the content that will print on your cheques. 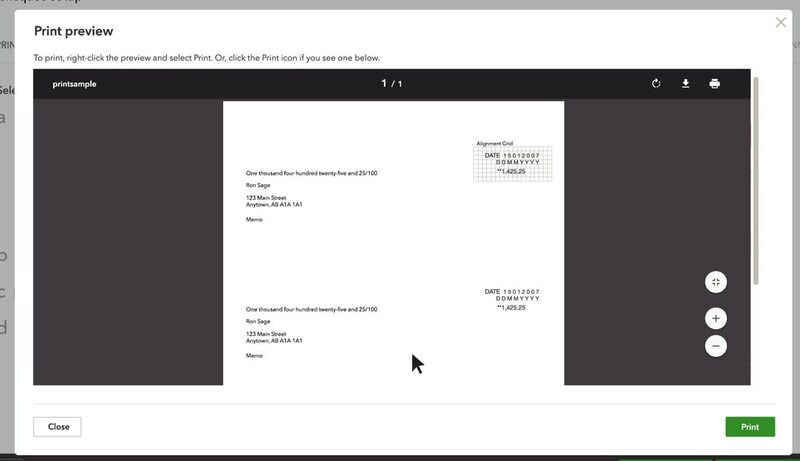 Click Print at the bottom of the screen to print the sample page. Take the sample printout and hold it up in front of a light. Place one of your blank QuickBooks Business cheques on top of it. The sample numbers on your printout should align with the Amount boxes on your cheques. If not, that’s okay—a lot of printers don’t align perfectly on the first try. 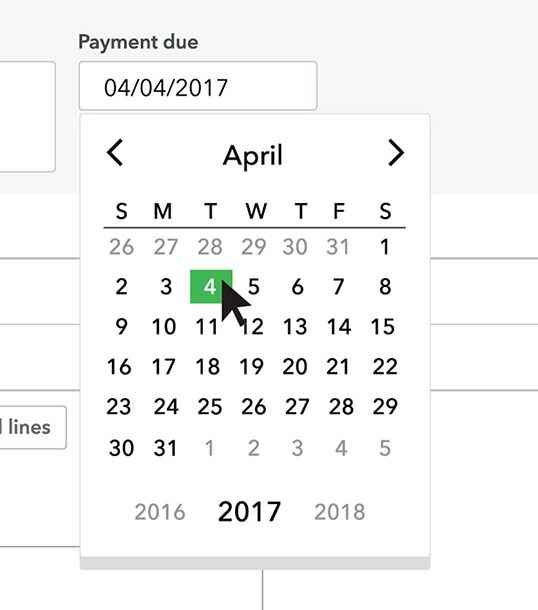 To realign the fields, go back to the Print cheques setup page. At the bottom right of the screen, next to where it says “Are the fields lined up properly?” click No, then continue setup. 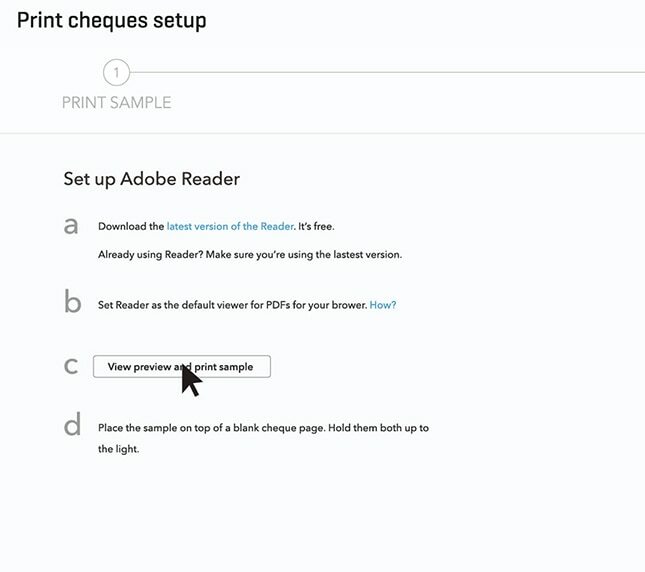 You’ll need to make sure you have the latest version of Adobe PDF Reader to continue setting up your cheques. Why? Adobe Reader gives you the most consistent printouts. To do this, just click Download the latest version of the Reader in section A and install the software on your computer if you have an older version. Next, click View and print sample in section C. If your test run still needs work, click No, continue setup again at the bottom of the screen. 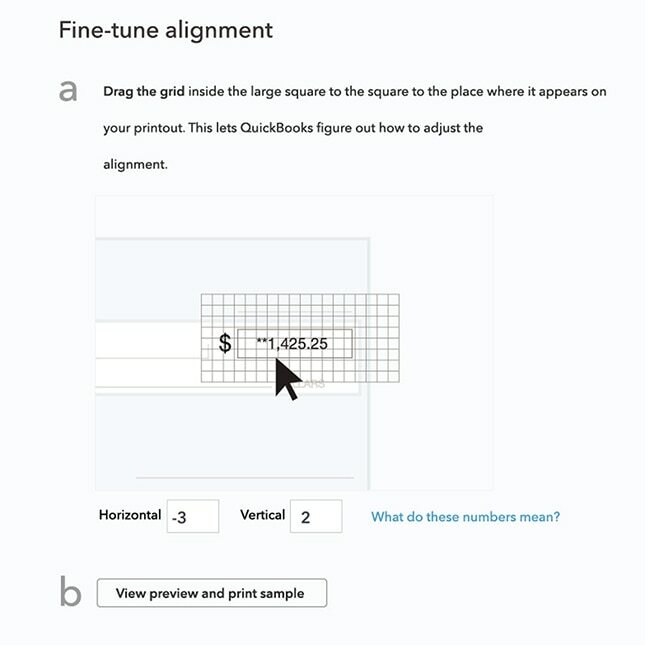 To fine-tune your printing, drag and drop the amount grid to match the spot where the misaligned numbers are printing on your test run cheques. You want to drag and drop the grid to the place where the amount is actually appearing on your test printouts—not to where you want the grid to appear on the sample image. This lets QuickBooks figure out how to adjust the alignment for the next printout. Go to the Plus Sign Menu and under Vendors choose Cheque. Type the payee’s name in the Choose a payee field. If this is a new vendor, click Add. When you do this, it’ll open a New Name window where you can click Details if you want to add more information. Otherwise, you can do this later and just click Save. Choose either a chequing or savings account or you can add a new one. Enter the cheque’s payment date. Under Account Details click Account and choose the appropriate category for the item or service you bought. In the description field, you can name and describe the item or service if you want. In the Amount field, type the amount for this cheque.